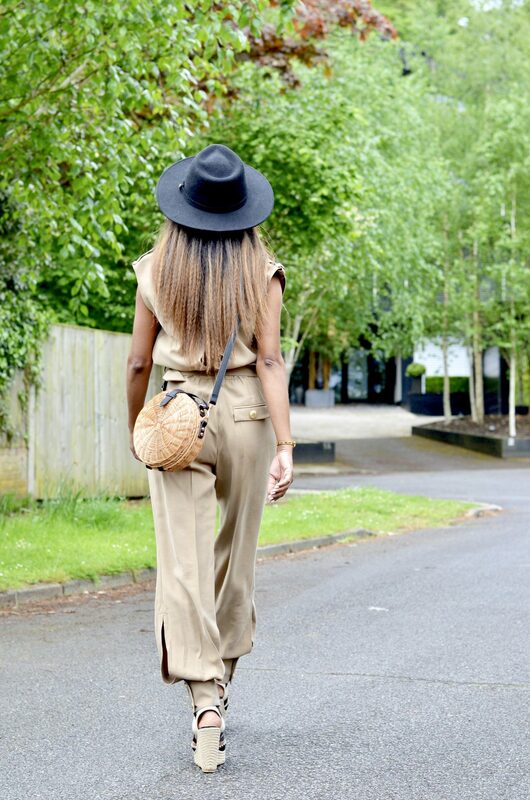 SAFARI STYLE IN A GUESS JUMPSUIT - My name is Lovely! The safari style depends highly on picking the shades correctly. You can pick garments from the natural range of tones and materials, be that cotton, leather or anything else. Best stick to the whole beige-brown palette, tones of grey, olive and khaki. Monotone tends to work the best when it comes to Safari styles. This is a perfect look for the summer and for any vacation in the tropics. The quintessential safari look that started 150 years ago in colonial Kenya still prevails today. First seen in the late nineteenth century, it all began with the jacket. A crisp drill cotton piece with pockets, buttons, epaulets and a belt, which was part of the British military uniform in the tropics. This was also the style of the English citizens who lived in India in the late 19th century, and of the hunters in Africa, wealthy Europeans who had their luxury retreats in boundless landscapes. When your putting together the safari style you need to make sure that the overall shapes are moderate and simple. Straight silhouettes are highly recommended, be that for the outerwear, the tops and the bottoms and the dresses as well. The length of the skirts and the dresses is supposed to be somewhere near the knee. 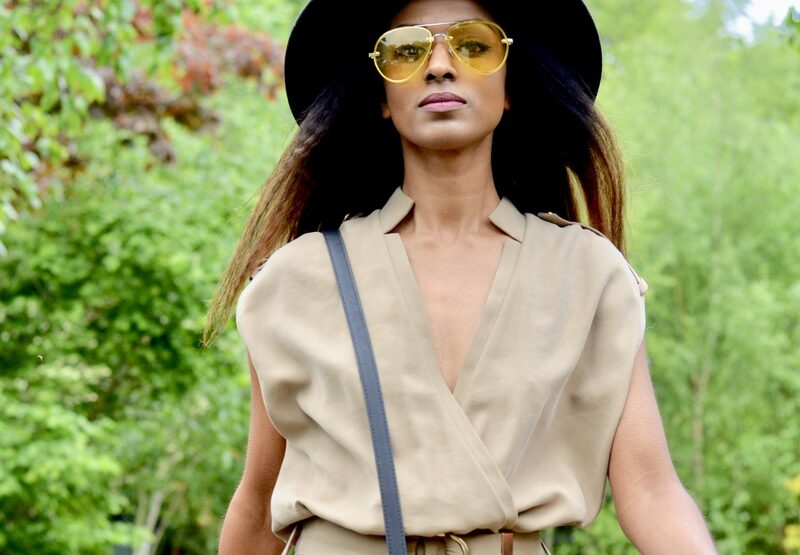 Shirt dresses are another great reflection of the safari style. Add a small leather belt around the waist to cinch you in, this is very much part of this style. Sportier pieces like shorts, capri, and trousers are also popular for the safari style trend. The latter may come in relaxed forms, or even in wide-leg alternatives. Equally popular are the shirts with short sleeves, cropped light jackets, and other garments of this type. The most important aspect about these pieces is that they should be comfortable and chic at the same time, and that implies that they should by no means limit the movements of a person. Talking about minor details the features of this style, we may first of all note the garments with pockets, existing on almost any type of apparel belonging to this style. Jumpsuits may also be found in the range of options. Jumpsuits are, without a doubt, a statement style. 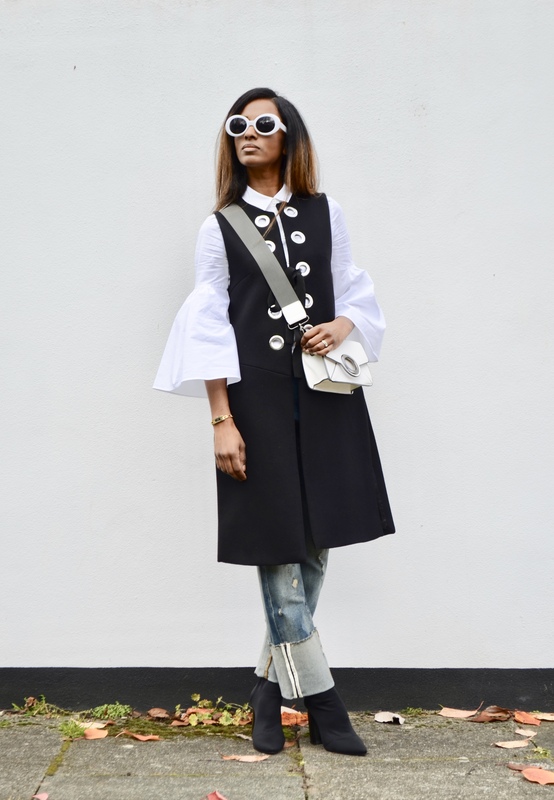 The head-to-toe, all-in-one garment creates a striking look that moves beyond a simple dress or pants and top combo, and into more fashionable territories. So why then, do so many women still avoid this trend-worthy style? Well, it isn’t always the easiest piece of clothing to pull off. Choose the wrong fit or add the wrong accessories and your jumpsuit can go from a fashion hero to a fashion zero. 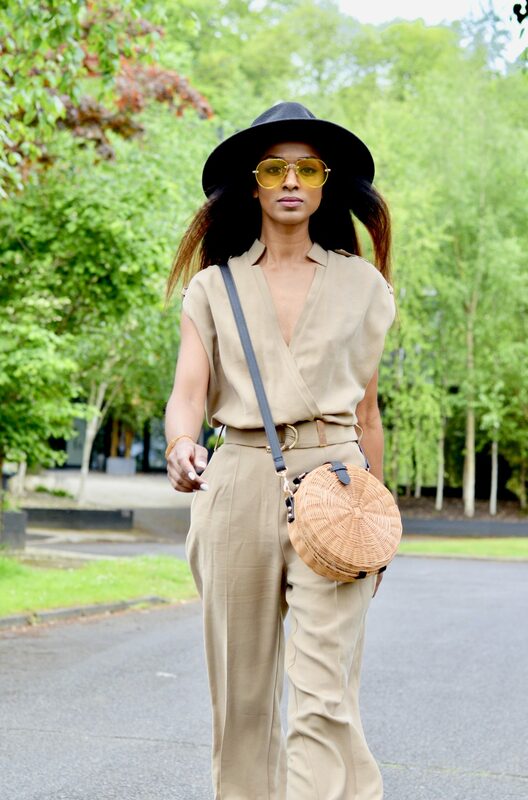 Here is my take on how to wear a jumpsuit in the safari style. 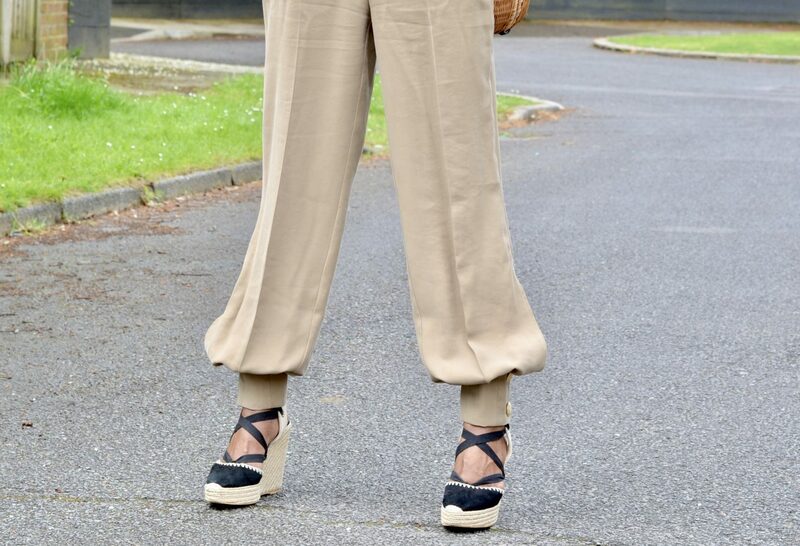 If you are tall, select a wide-leg jumpsuit that finishes just above the ground. If you are short, choose a slim, cropped style. Go for a more cool casual look. Wear a loose-fit jumpsuit then complete your look with accessories, such as shoes and belts, or use layering to add another dimension to the look. Lets get onto my ensemble and this jumpsuit I purchased from Marciano at Guess. This viscose blend jumpsuit is so soft and very comfortable to wear. Comes with a wrap over v-neck style, with a belt and is sleeveless. The shoulders have strap details on them and the bottom has cuff detailing with gold buttons which ties in beautifully with the belt. It very much has a safari style vibe to it and with that in mind I decided I would style the outfit in this way. Next I opted for my Zara espadrilles with the tie up laces. These are just the perfect pairing with the jumpsuit, however, when I do go away on a safari vacation I would switch them for a flat pair like these from Manebi at Net-A-Porter. Which are ideal for walking around in. As for my bag I opted for my Bamboo coffer bag from Mango. This is such a vacation bag and any variation of straw bag would work rather well here. The bag has a pretty blue and white inner lining, adjustable and detachable long strap. The design of the bag is very rigid and sturdy in the bamboo material. I then grabbed my Whistles fedora hat in black, this gives the overall outfit the look of being on a safari in my opinion. For the finishing touches I grabbed my silver and clear aviator sunglasses from Hashtag Sunglasses in the Absolutely style and finished the look off with my Lime Crime Velvetines lipstick in the shade Teddy bear. Safari style shorts and shirts: The short sleeve shirt is a versatile travel shirt that will serve you well for hiking, or spending time on a ranch. By all means you can wear a long sleeve one too and roll it up. If you go for one with two chest pockets, these can come handy when carrying essential outdoor gear. Roll up tabs add a finishing touch to the sleeves. As for the shorts, go for longer length shorts with pockets and belts to give you that safari look and in earthy tone colours such as khaki, browns and greys. 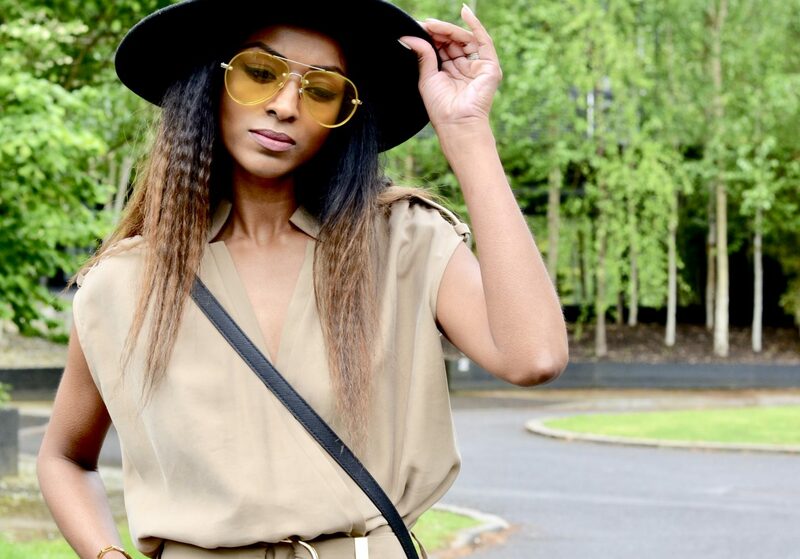 Safari style shirt dresses: Make sure they are knee length, practical and works well with straight silhouettes, add a belt to cinch you in at the waist. Either go for some boots or espadrilles depending on what you will be doing. Finish off with a hat in the same colour tone and a cross body bag. 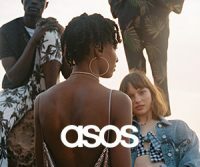 Safari style skirts: Again the skirts tend to be knee length or longer and best worn with either same tone shirts or white shirts as an alternative. Thank you so much for stopping by to read my fashion blog. 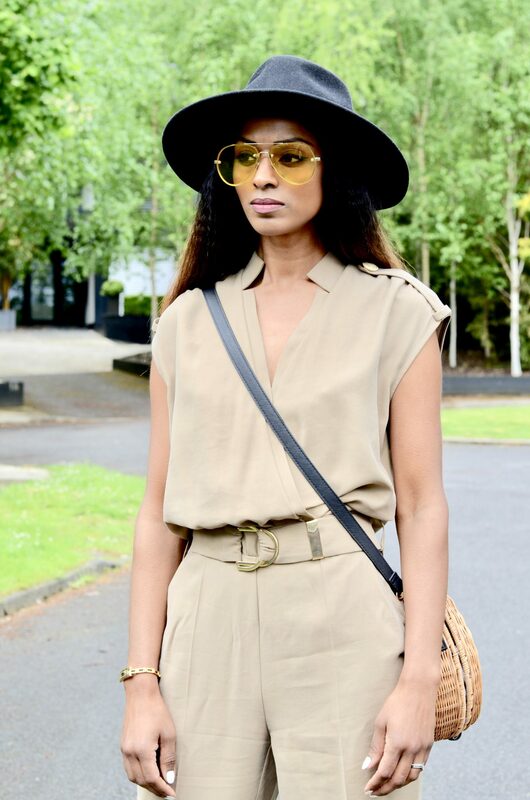 What do you make of this Safari Style jumpsuit? Please do let me know by leaving a comment below. This jumpsuit is stunning and the color goes so well with your skin! This may be the most fab jumpsuit I’ve seen today. Love the style, so breezy and light, yet elegant. Looks really comfy too. It is rather light Jess and very comfortable! Thank you and have a wonderful day. I do love a good jumpsuit, I love the way you’ve styled this one, just stunning! Thank you so much Sheena. Yessss!!!! 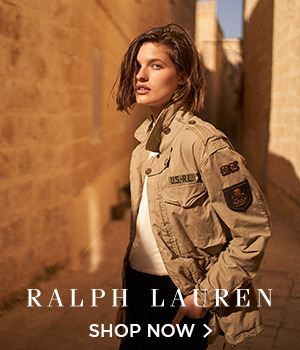 I love this safari-style outfit – you look like you could come right out of an adventure film! Absolutely stunning look and I love the hat you’ve added as and accessory too! Aww thanks darling, so glad you love it! 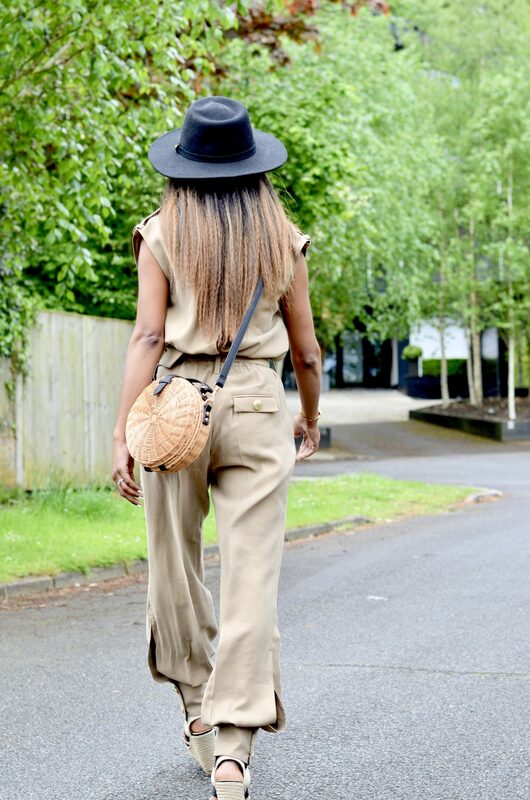 great safari inspired outfit….love this jumpsuit on you. Aww thank you Ivana, so happy to hear you love this jumpsuit! The leg on that jumpsuit is so pretty. I love the fit and colour, and it suits you so perfectly! Looking beautiful Lovely. That was one of the features that made me purchase this jumpsuit in the first place darling. Thank you so much. This Jumpsuit is so perfect, I always thought jumpsuit wont suit me but I am so going to get one. 🌸 you look so good. Thank you so much Larisa, I cannot wait to see you in your jumpsuit when you do get one! That jumpsuit is so pretty on you! I love the color of it. Aww thank you Courtney, so happy to hear that. What an awesome outdoor outfit, this is perfect for a fun activity in the great outdoors. I like your espadrilles heaps. Have a fun and warm weekend Lovely! It sure is hun, and thank you so much. Although I would change the wedge espadrilles for some flat ones. I love it something I would definitely dress! So glad to hear it Alessa! wow Lovely you look gorgeous! Such a super cute jumpsuit – I love the color! Happy to hear you think its cute Carmen and thank you! Totally killing it babe. Love the hair too! Thank you so much Yana. This jumpsuit really suits you. Beautiful! So happy to hear that Radi and thank you so much. Aww thank you so much Biki! I love a pair of espadrilles, thank you so much! What a truly amazing jumpsuit. 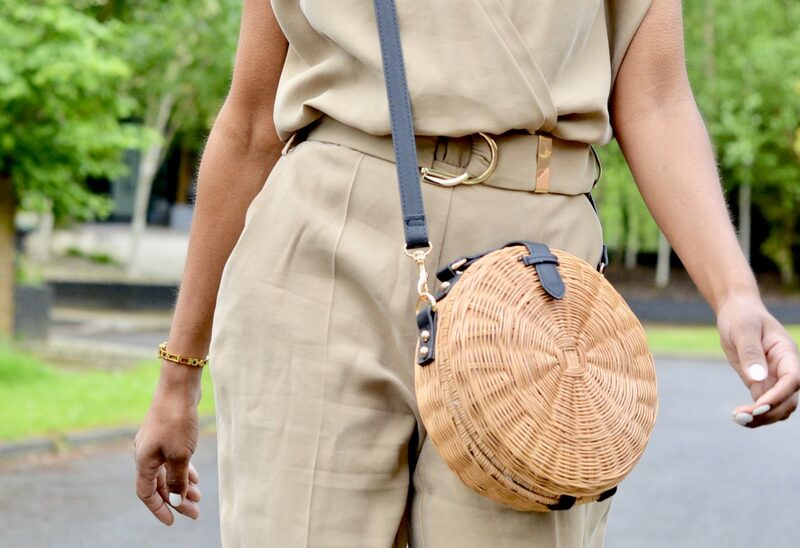 You nailed the safari style effortlessly! I never tried it, actually, but this post just gave me the inspo I needed! 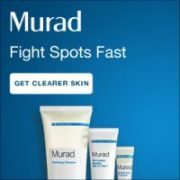 So glad to hear this post has inspired you hun, and thank you so much! Yes darling the straw bag seems to be big right now! Hope you find one you like and thank you. Thank you so much Simone, the fabric is very comfortable and I hear you on the bamboo bag! Thank you so much Rafal. 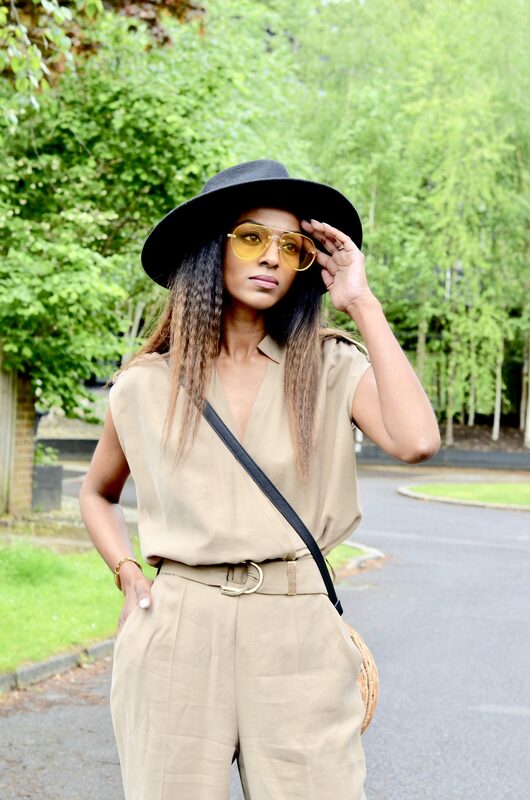 Absolutely love your safari jumpsuit! It’s perfect on you. And again, great styling this look too. I love a good jumpsuit. So happy to hear that darling and thank you so much. So happy to hear that Zorica. Gracieux lace wigs,bob wigs https://www.youtube.com/watch?v=ovU7TuvxKA8 exact à la reproduction.Livraison agile.Prix compétitif .